This entry was posted in Uncategorized by South Okanagan Kin Club. Bookmark the permalink. 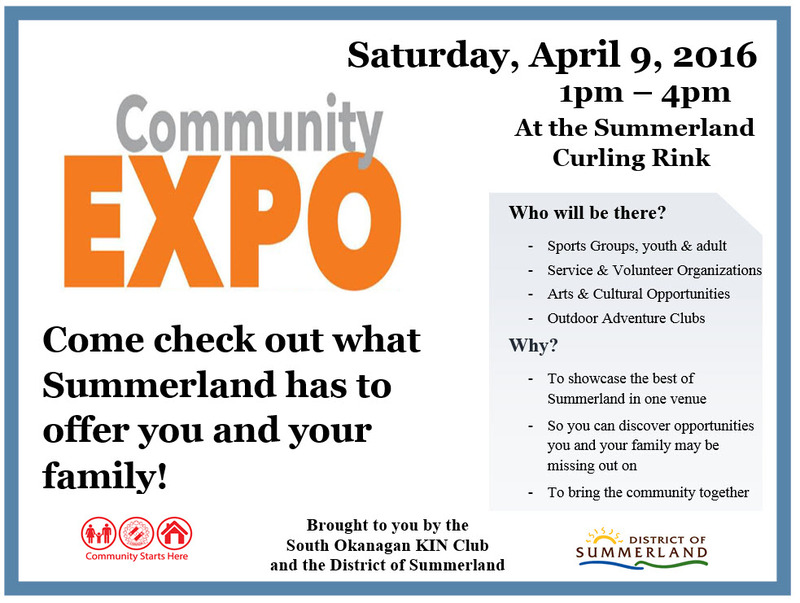 I just found out about this event and I’m wondering if I can hand out some information about a couple of volunteer organizations and related events: Summerland Earth Week and the Summerland Philosophers’ Cafe. Summerland Earth Week is from April 16 – April 24 and we have over a dozen FREE events and activities that acknowledge the importance of understanding, protecting and conserving our fragile ecosystem. Any opportunity to connect with the community would be greatly appreciated. 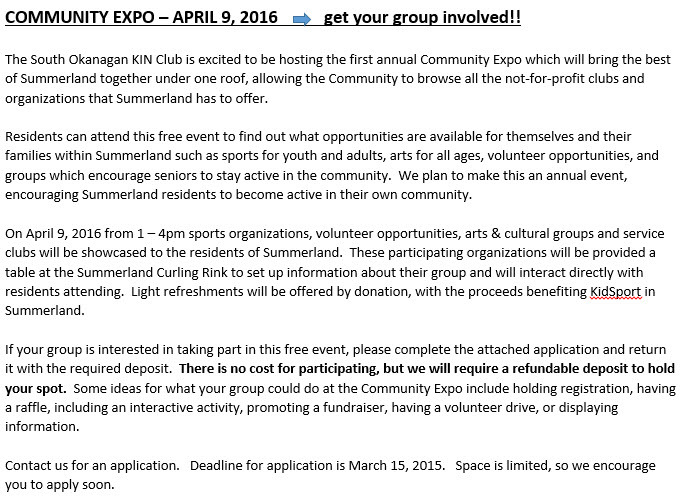 Would love to have those groups represented at the Expo. I have emailed you with info.